A Fab, Fun Australian Giveaway! We are back with a quick break from posts about what Kate wore, we’ve a little something that will be a lot of fun – a giveaway! Many of you will remember the generosity of several companies during our Baby Cambridge campaign, our fundraiser for EACH. One of the most generous was StyleRocks, the customizable jewelry company. Not only did StyleRocks donate to EACH, company founder Pascale Helyar-Moray also sponsored a wonderful giveaway for an enormous citrine ring. On my mission to get info for the post I was waylaid by the new Affordable Luxuries collection. There is no end of goodies in the Collection. The nice thing is customizing allows you to pick your metal, stone, cut, etc, and really make it all your own. So much to like. Sigh. Back to our post. Many readers have heard me talk about my friend Pascale. When news about the New Zealand/Australia tour surfaced it made perfect sense to start corresponding with her about what fun it would be to do another giveaway, while William and Kate were in Australia, as Pascale and StyleRocks are located in Australia. (It was Pascale who gave us the fabulous tour of the Taronga Zoo.) We finally got to Skyping and talking about what kind of prize would be special and memorable – something that hadn’t been done over and over again. That’s when Pascale came up with a brilliant idea: create a new mini-collection. Australia is known for its natural resources – metals, gemstones and pearls; metals are mined in South and Western Australia, while the area of Broome in north Western Australia is famous for its pearling industry. So the intersection of the Australian bush – shown via a metal eucalyptus leaf – and the sea – through the pearl – seemed a perfect marriage. It represents an iconic landscape, where the bush comes right to the edge of the waterfront. But more than that, it felt like something that you would wear as a modern fashion accessory, even if you weren’t into Australiana. The collection showcases an elegant, understated eucalyptus leaf. Offered in multiple colors, the leaf represents the ‘terre,’ the land. Adding one of the stunning StyleRocks AA-Grade freshwater button pearls in pink, white or black unites the sea with the land, creating the ‘Terre-et-Mer‘ vision. We show necklaces in rose gold with a pink pearl (L) and in silver with white pearl (R). As pretty as the leaf is on its own merits, the pearl brings a touch of sheen to the dynamic. That is especially evident in the three-leaf version with white pearls. With the variety of leaf colors, pearls and sizes the combinations are almost endless! One needn’t be shy about collecting different leaves with or without a pearl atop the leaf, even wearing several on the same necklace – it is a great look. The Collection is already drawing praise, the Telegraph featured it in their “Five of the Best Royal Jewels” piece over the Easter Weekend. The collection was launched to coincide with William, Kate and George’s visit to Australia and New Zealand. And that brings us to our giveaway: one lucky person will win their very own Terre-et-Mer leaf necklace! The necklaces comes on its own close curb cut chain in three lengths. For one entry sign up for the StyleRocks mailing list by visiting the company’s site, look for the “subscribe” box on the lower right side of the StyleRocks home page. You will see a drop down menu asking how you got to the page, how you heard about StyleRocks, be sure you tell them how you got there from the choices available (via What Kate Wore). You must complete the two steps above to be entered. If you have already signed up for StyleRocks email, don’t worry that you will be signed up multiple times for the mailing list, this is a completely new list. As an FYI, Pascale is doing exactly what she did with our other giveaway, donating 10% of all profits from Terre-et-Mer sales to EACH. I love all of them but my favorite would be the three leaf necklace in silver with white pearls. I have also followed on Pinterest. I love the Terre-et-Mer classic three leaf necklace in gold with the pearls. Elegant and beautiful! I would love to make this necklace a summer staple. Love the three gold leaves with white pearls,classic elegance! This certainly is a lovely collection and everything else on the website looks also amazing. The one leaf necklace in rose gold with a pearl is my favourite. I love these necklaces – Id go with the two leaf with black pearls. Followed Style Rocks on FB and pinterest. I love this collection and was so excited to see you were doing a give-away! I followed style rocks on Facebook and Pinterest and subscribed to their mailing list. If I could pick something to wear I would choose the two gold leafs with pink pearls.They are beautiful! I subscribed to the mailing list and I would wear the 2 leaf silver necklace with the pink pearls with a short chain. Really liked the two leafs. 2) Checked out the Terre-et-Mer collection and I really like the double leaf without pearls. Very simple and classic! I would choose the Terre-et-Mer Three Leaf Necklace in Rose Gold, and a 60 cm chain. I love the three silver leaves with pearls! Thanks – if you haven’t already, please sign up to the StyleRocks mailing list as that’s part of the competition entry. I love the two leaf gold necklace with the pearls :-). I also love the Russian Rings necklaces in gold and silver, but those are not part of the Terre et Mer collection. I subscribed to their email list and liked their Facebook page 🙂 Thanks for hosting the give-away! Yes the Russian rings are also popular as we come into Mother’s Day! Fingers crossed! My favorite is the two-leaf necklace in rose gold with no pearls! I also followed Style Rocks on Pinterest! I followed them on Facebook and I posted the giveaway on my facebook account. Thanks for sharing the love! If you haven’t already, please sign up to the StyleRocks mailing list as that’s part of the competition entry. I really like the three gold leaves with white pearls. Really nice! I would want one simple gold leaf with a single white pearl. Simple and elegant. 2. I subscribed and follow their Pinterest Page. 3. I shared the contest on my own personal wall. 4. I signed up for their mailing list. Hope I will something beautiful from the collection. They are all lovely! My favorite is the Three Leaf Necklace in yellow gold with pink pearls. Thanks for a great contest, and wonderful updates! I would choose the two-leaf necklace in rose gold. So lovely! I liked StyleRocks on facebook and followed them on Pinterest! I added Style Rocks to my Pinterest Page (Baubles)!!! I liked the fab new company of FB! LOVE this collection!!! I would choose the double leaf in silver with white pearls. Makes me think of the SnugglePot and CuddlePie stories! The Terre-et-Mer Three Leaf Pearl Necklace in gold with the white pearls is just a classic, but thoroughly modern piece. It’s bold without being at all garish. I would wear it with everything from casual to formal attire. It just seems so elegant, yet really wearable! I’ve liked Style Rocks FB page. I like the single rose leaf with the pearl from the Terre-et-Mer collection. It’s simple yet comes with a statement. I followed StyleRocks! on Pinterest! I would wear the single leaf rose gold without the pearl the most. It’s on trend and classic at the same time. I love the 3 leaf gold necklace without pearls from the Terre-et-Mer collection. I would love to see a gold and silver combo! I also followed the StyleRocks Facebook and Pinterest pages. I love the two leaf Terre-et-Mer Rose gold with pink pearl necklace. I love the 3 silver leaf from the Terre-et-Mer collection. It’s so hard to choose- all the choices are lovely! I think I would end up with the Terre-et-Mer with two leaves in rose gold without any pearls. It’s beautiful! Thanks for the giveaway! I like the rose gold single leaf with a pearl. For an extra entry, I follow on Pinterest. Love the entire collection, but I would choose the single gold leaf – simple & wearable for all occasions! I am UB-SESSED with this collection! So perfect! I would love to wear the Rose Gold with the pearl. Simple and Elegant. Alternatively, I would wear the white gold without the pearl. So beautiful. I also “liked” on facebook, and followed on Pinterest! I’ve liked StyleRocks on facebook! The Terre-et-Mer Three Leaf Pearl Necklace in yellow gold 🙂 Beautiful! Subscribed, liked on FB, followed on Pinterest! 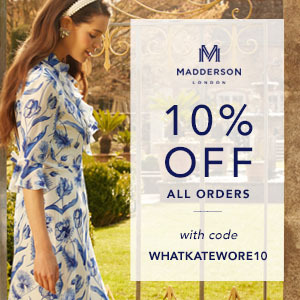 I subscribed to their email list… I would love the 2 leaf or single leaf with with pearls in silver! These necklaces are stunning! I love the three leaves with pearls! Such a pretty collection!! I would choose the 3 leaf necklace in rose gold with pink pearls. Such a pretty collection!! I would choose the 3 leaf necklace in rose gold with pink pearls with the 80 cm chain. The rose gold leaf with single pearl accent would be my favorite pick from the collection! The rose gold single leaf with the pearl is beautiful. It could be worn with many different outfits! I am following StyleRocks on Facebook. i love the single leaf with rose gold! I like the simple one-leaf in gold. I love the simple Terre-et-Mer necklace. Very clean look! I’ve liked them on facebook, renewed my subscription, followed them on Pinterest, and posted about the giveaway on twitter! I love the collection, but I think my favorite would have to be the three leaves with pearls. Beautiful, simple,elegant. I would love the 3-leaf style in silver with black pearls. In the Terre-Et-Mer collection I love the simple single gold leaf with the pearl in the centre. It reminds me of the beating heart of Australia. I subscribed to the mailing list and also followed on facebook and pinterest. I also posted about the competition on my facebook account for four entries in the comp. My favourite piece of the Terre-Et-Mer collection is the simple single gold leaf with the pearl. It makes me think of the beating heart of Australia. Also, signed up to email account, followed on pinterest and facebook, and posted about the competition on my facebook page for four entries in the comp! Thanks for putting all this together for us!!! My favorite design from the Terre-et-Mer collection is the Two Leaf Pearl Necklace in silver, with the white pearl (although the black pearl is also lovely). Wonderful giveaway, thank you and Pascale for doing this, and for supporting EACH in the process! Oh I forgot to say I followed StyleRocks on Pinterest. I don’t know why I don’t see the large post I just submitted. I followed & shared on FB, created a Board on Pinterest and emailed it to you and Tweeted about it too. I signed up to be on mailing list and already heard from StyleRocks. I liked them on FB. Everywhere I went I mentioned WKW. I adore the triple leaf with pearls in gold in the longest chain (84cm) but would be perfectly happy with the single leaf with gold to which I would add two smaller plain leaves; I think the triple leaf is too expensive as I require the longest chain so it will fall below the scarves I wear to cover my breathing device. A shorter chain would not work. I also prefer two plain leaves, one on e spitter side of a gold leaf with a single pearl; I think it is a bit more low key but I dud not the plain leaves available to buy separately. But the combo of the long chain with one pearl leaf would be lovely. Good luck to all the other entrants! Following on Facebook for an additional entry. Very nice jewelry. I would chose the Terre-et-Mer Necklace, single silver leaf, 45 cm chain. It is delicate and lovely. I signed up for the email list. Thank you! Thanks Susan and Pascale for another wonderful contest! I subscribed to their site, liked them on Facebook, and followed them on Pinterest. I have subscribed to StyleRocks and I love the collection, I would have to say that I would absolutely love to have the Rose Gold leaf with the pink pearl. I have Liked StyleRocks on facebook. I have followed StyleRocks on Pinterest. Lovely collection! I love leaves! I would get a double-leaf necklace, without any pearls, in gold. 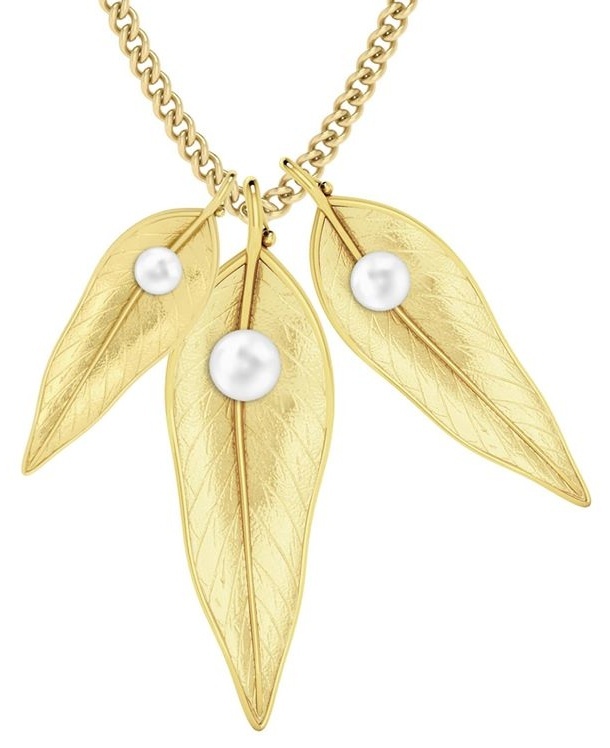 If I could pick, I would choose a two leaf necklace in yellow gold with white pearls. I subscribed to their list, followed them on Pinterest and liked them on Facebook. Their designs are lovely! Thanks Abby – fingers crossed! I would choose theTerre-et-Mer two-leaf necklace in silver with black pearls. The design is as elegant, unique and iconic as Duchess Katherine. Wearing this lovely necklace will remind me of the South Sea, Koalas, and the smile of a beautiful Princess. I hope I am the lucky winner! I would choose the Terre-et-Mer two-leaf necklace in silver with black pearls. The designs are as elegant, unique and iconic as Duchess Katherine. Thoughts of the South Sea, Koalas and the smile of a lovely princess would be with me where ever I go when I where this lovely necklace! I hope I am the lucky winner. The collection is absolutely beautiful! It is a tough choice but I would get the two leaf necklace in yellow gold with white pearls in a 60 mm chain. Subscribed, facebook and pinterest liked the pages (Barbara G, Ettalie) and am letting everyone know of the contest via twitter! I love the rose gold 3 leaf necklace with white pearls. I would choose the two leaf necklace in silver with black pearls. The one I would pick to wear would be Terre-et-Mer Two Leaf Pearl necklace in rose gold. ps. If I had Facebook or Pintrest… I would follow. I love the three leaf necklace in Silver! Liked and shared on Facebook. If I could pick, I would choose a two leaf necklace in rose gold with black pearls. I subscribed to their list and their designs are lovely. i love the two leaf necklace in yellow gold with white pearls. i signed up to the newletter, “liked” pascale on facebook+ pinned them on pintrest. I am also now following StyleRocks on Pinterest. I liked StyleRocks on Facebook. I would love the Terre-et-Mer Two Leaf in silver with black pearls. I love the three-leaf necklace in rose gold with pearls! 2. I would pick the single Terre-et-Mer leaf necklace in silver. I’d love to wear the two-leaf pearl necklace in silver! And I forgot to mention, I signed up for the mailing list! Well, my goodness, I think my favorite is the triple-leaf with pearl is my favorite. The more the merrier! Terre-et-Mer collection issss….gorg!!! I pick the single gold leaf. A simple everyday peice that nevers goes out of style! Fanned on FB and posted to my wall! I really like the three rose-gold leaves with white pearls. Just lovely! I love this collection! I would also love to have a rose and yellow leaf with white pearls. And I liked on facebook and Pinterest! The jewellery is beautiful and simple. I would love to collect the Terre et Mer leaves in a variety of metals and with and without the pearls to create unique looks. I’d also love a pair of purple amethyst earrings to go with an amethyst ring that I have from my grandma! I would choose the three leaf in gold with white pearls. So pretty! The single leaf with the single pearls is perfect in it’s simplicity. Love it! I love the triple leaf with pearls! Reminds me of a pendant my dad bought me years ago which got lost in a house move :(. Or just a single leaf in yellow gold. Perfect. I subscribed, followed on fb and would love the two-leaf in silver! I signed up for the Style Rocks mailing list. I absolutely adore the Terre-et-Mer Necklace with just one simple gold leaf. It’s gorgeous. This collection is beautiful! I would choose the three leaf necklace, with one pearl, on a long gold chain. I followed StyleRocks on Facebook. I also followed StyleRocks on Pinterest. Following Style Rocks on FB and Pinterest! I subscribed and I love the two leaf silver with black pearls. The two-leaf necklace in (yikes, I have to pick a metal?) gold, no silver, no gold! is superb! I would love the single rose gold leaf with the pink pearl, beautiful! I would love the Single Leaf w /pearl in rose gold .. I followed StyleRocks on Facebook and Pinterest. 1: signed up for list / I would pick the single gold leaf with a white pearl! Simple and classic. 1. I signed up for their newsletter. I checked out the collection and I would get a silver leaf with a black pearl! I follow style rocks on pinterest. I liked style rocks on facebook. I subscribed, and followed on Facebook. I love the single leaf with the single pearl. I would choose 2 leaves, with pearls and in gold. Simple and elegant. Love the designs. Hi 🙂 I think the 1 yellow gold leaf is beautiful with a white pearl. I am following StyleRocks on Pinterest! Thanks for doing this giveaway! I entered. 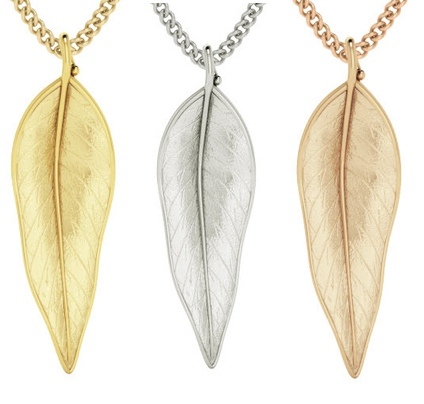 I quite like the 4th necklace best – the one with one main leaf and a smaller second leaf. Very cute! wow, tried to enter but it said it was already closed. sigh. I’m already sign ed up. I’d pick the single leaf in silver with a black pearl. I absolutely love the new collection. From the Terre-et-Mer I would pick the 3 gold leaves. From the rest of the collections I would pick “From Russia with Love”, the rose-coloured 3 rings necklace. I liked StyleRocks on Facebook. Thank you! I would pick the rose gold leaf with the white pearl. These necklaces are so elegant and lovely. I subscribed and I love the double rose colored gold leaves with the pink pearl. I subscribed to Style Rocks email! And I would choose 3 rose gold leaves, and have only the center one with a pearl…on a long chain. Absolutely gorgeous. My husband and I have been planning an overseas trip for this coming winter, and Australia and New Zealand have been top of our list since we were married 3 years ago (the same week as Kate and Will! )…and I’m so excited that I might be able to see some of the gorgeous places they visited later on this year! I also follow Style Rocks on Facebook, and added my Pinterest follow as well! And I’ve shared the Style Rocks post on Facebook! Beautiful! I’m having a hard time choosing, but I’d probably go with the triple rose gold with the pearls. So pretty! I like the single gold leaf with a white pearl. Gorgeous! Understated Aussie uniqueness – combining the sea and the leaf. Silver leaf – black pearl. I am utterly, utterly in love with the three-leaved gold necklace with white pearls. It’s exactly the kind of necklace that I dream about. I have signed up for the emails and followed Style Rocks on Facebook. Really beautiful. I liked Style Rocks on facebook, and I really like the three leaves. 2. Love the collection! I would pick to wear the Terre-et-Mer three-leaf necklace, perhaps with the pearls! I’ve signed up. I love the silver necklaces with the pearl. Beautiful! Thanks for hosting this giveaway! I love the double silver leaves, with or without pearls. Absolutely gorgeous either way! I subscribed though their website, and also followed them on Pinterest (my name on pinterest: Betsy P)! I love the elegance and simplicity of the Terre-et-Mer collection…it’s right up my alley! Of all of the combinations you can choose, I especially love the Two Leaf necklace in silver with white pearls, and would probably wear it on the 60cm or 80cm chain. I’m following StyleRocks on Pinterest! I have subscribed and LOVE the two leaf in silver from the terre-et-mer collection! Interesting collection. I would have to go with the rose gold with pink pearls and two leafs. Girly meets nature. I’d wear the rose gold with two leaves and pearls. But all of them are quite beautiful! I just followed StyleRocks on Facebook (Sarah Walsh)! I adore all of the Terre-et-Mer collection but I must admit that the rose gold and pearl is my favorite. So pretty! A beautiful collection – even as a Kiwi, I would wear a single eucalyptus leaf in rose gold with the pearl. Just stunning …..
Love the Terre-et-Mer collection – makes me miss home (I now live in Texas) – would love the single gum leaf in yellow gold with a white pearl. The pearls remind me of Exmouth – where my husband and I honeymooned – just about the most beautiful place on Earth! Wow, this jewelry collection is beautiful! I love the Terre-et-Mer two-leaf necklace in rose gold– so classy and delicate! Signed up for the mailing list, liked on Facebook, and followed on Pinterest. My personal favorite from the Terre-et-Mer collection is the plain two-leaf necklace in silver with no plating. I love the Terre-et-Mer Two Leaf Necklace in silver- so simple and pretty! I also signed up for the subscription, and followed on both Facebook and Pinterest. Thanks! I actually saw them post a picture of the Eucalyptus leaf necklaces and determined that I had to have the one with the three leaves with the pearls! Now following them on Pinterest and Facebook and will share with all my Facebook peeps! What a lovely collection! I signed up for the newsletter and my favourite piece from the collection would have to be the gold 3 leaf w pearls necklace on the longest chain length available! thanks for a great giveaway! I’ve signed up for StyleRocks email. I now follow StyleRocks on Facebook and Pinterest and I tweeted about the contest at https://twitter.com/PrincessWeis/status/459730685159563265. Now, I have looked at the new Terre-et-Mer collection, and found too many beautiful pieces! I’m a minimalist so I would like just one beautiful leaf and pearl! I would love to have the 2 leaf silver version with black pearls on the long chain. Stunning collection! I love love love it all! I have signed up for the newsletter, followed on Facebook and Pinterest, and posted about the contest on my Facebook page. Love love the rose gold with pearl in the middle! Rose gold is so in right now. I signed up to the mailing list, like on twitter, and sent a tweet. And lastly, I’ve posted about the contest on my Facebook Page (I actually shared the picture and contest details from StyleRocks FB page). I have also followed STyleRocks on Pinterest! In addition to the initial entry, I have liked StyleRocks on Facebook! I’ve subscribed to their website and looked at the collection. All of the pieces are beautiful, but I love the Rose Gold Leaf with pink pearl! I absolutely love the single rose golf leaf necklace with the pearl from the Terr-et-Mer collection. Stunning! I’ve also followed on Facebook and on Pinterest, and tweeted about the giveaway with @StyleRocks and @WhatKate Wore! Thanks for another change at a lovely giveaway. What a stunning collection! And how thoughtfully designed and curated.. I’d be honored to wear the triple rose gold eucalyptus leaves with pearls, on the longer 60cm chain. This is especially lovely given that I live in the Presidio area of San Francisco. The former military base turned national park is full of eucalyptus trees (and their incredible smell!) Every time I would look down at this necklace, it would remind me of home. Thanks for sponsoring such a beautiful giveaway, and as always, for your amazing coverage of the Duchess. Thanks Hilary – a lot of thought and curation went into this design, you’re absolutely right. Susan was our co-designer! Signed up and followed on Facebook and Pinterest. I would choose a 45cm gold necklace with 2 leves, no pearls. I love the eucalypt leaves – very dainty and patriotic!! Thanks for the wonderful posts this tour! I signed up and love the three leaf necklace in silver. Went to Terre-et-mer site…lovely pieces. I would choose the three silver leaf necklace and add pink pearls. I love the simplicity. I love the gold Two Leaf necklace with white pearls. So beautiful! I would wear the single leaf in the rose gold. So pretty! I followed StyleRocks on Pinterest. I would choose the round amethyst sterling ring, as it is my birthstone. I designed a cushion checkerboard lemon quartz pendant that has a square claw-set gemstone necklace and curb cut diamond chain. It is to die for! I love love love the silver, three leaves, with pearls!! What a wonderful contest and beautiful collection!! I just love the concept of land and sea being represented together. Thank you once again, Susan!! 1a) Signed up to the StyleRocks mailing list & said I’d got there via WKW! I would choose a single leaf in the rose gold with a pink pearl. Very lovely collection! I love the single leaf in rose gold. A beautiful new collection! I signed up for the newsletter and I would get the Terre-et-Mer three leaf pearl necklace in yellow gold plate. Lovely! I love the single silver leaf with a white pearl. I also followed StyleRocks on Facebook and on Pinterest. The Terre-et-Mer collection is lovely. I would wear the single leaf pendant in rose gold on a 45cm chain. I’d definitely wear a single silver leaf with a pearl! I subscribed to Style Rocks (though it said I had already signed up for it). I liked Style Rocks on Pintrest. I wrote about the contest on Twitter. What a great giveaway! I received an email from StyleRocks a few days ago about this collection so I had already chosen a favorite, but I’ve been doing a lot of spring wardrobe shopping lately and don’t feel like my budget can handle a new piece of jewelry too! It would be wonderful to win one. I’d love to have the single leaf necklace in rose gold with a white pearl. I’ve been seeing rose gold everywhere lately and can’t believe I don’t own any already; it’s so pretty! I was inspired to enter this contest as I was enchanted by the three gold leaves with white pearls. I don’t believe that I have ever entered a contest before. Here is hoping…. I’d pick the gold 3 leaf necklace. So pretty. I would love the two leaf white gold with white pearls! I would get the silver leaf with a second smaller leaf. How cute! I love the white gold two leaf with white pearls! First of all thanks to WhatKateWore (especially to Susan and her ideas) and to StyleRocks for this international giveaway!!! I signed up to the StyleRocks mailing list and tweeted about the giveaway with a link to this page. I would pick the two leaf version of the Terre et Mer necklace in yellow gold with white pearls. I love the white gold with two leaves and white pearls! I would adore the double leaf necklace, no pearls, in rose gold!! I LOVE the Terre-et-mer, two leaf pearl necklace in silver. So classic. I would love the two leaf necklace in white gold with white pearls. I just love the double leaf rose gold with white pearls! I can’t resist green and emeralds, so the emerald elegance earrings would be my choice. I would love to see some of the Terre-et-Mer designs as earrings, too. I am following StyleRocks on Facebook now. I ‘liked’ their Facebook page & started following them on Pinterest! I like all of the pieces in the Terre-et-Mer collection but if I had to pick just one, it would be the Three Leaf necklace in gold with probably a 45cm chain, I think it would look really nice higher up. I love the Russian rings necklace. I would definitely choose the Terre-et-mer necklace in rose gold with the pink pearl! A beautiful collection! I like the three leaf gold design with a pearl. I do love what seems to be the rose gold leaf necklace with the light pink pearl accent… Beautiful and delicate – Just like the Duchess! Thank you for sharing a designer with us, I love finding new things this way! 2. I love the big leaf with the little leaf. Reminds me of my daughter! 5. And I shared on my FB page! Thank you so much for your giveaway and your amazing work during the Royal Tour!!! I subscribed to the site. The collection is stunning!!! I would wear the Terre-et-Mer Two Leaf in silver with the purple pearls in a 45 cm necklace. Thank you so much again and good luck to everyone!!! I followed StyleRocks on Pinterest, username: chickky311. I would choose the Terre-et-Mer Three Leaf Pearl Necklace with rose-gold plating and pink pearls. So beautiful! Love the Terre-et-Mer collection and the simplicity of a single leaf with a white pearl. I love the gold leaves- with no pearls. Just 3 simple leaves. So beautiful!! Love the three black pearls in rose and 60cm chain. I would pick the single gold leaf, with or without the pearl. Thanks for the opportunity!! And I’m following on facebook!! Definitely go for the Terre-et-mer necklace in rose gold with the pink pearl! Thanks for a great giveaway! Beautiful collection. I’d pick the two leaves in rose gold – simple and classic. I would pick the Terre-et-Mer Three Leaf Pearl Necklace in gold. I think it is a simple yet interesting and classic look. I signed up for the mailing list on Stylerocks.com, liked Style Rocks on Facebook and followed them on Pinterest. I also posted something on my twitter account about the giveaway. I would definitively wear the single gold leaf or, for special occasions, tre three leaves necklace!!! I would love to win and wear the Terre-et-Mer Three Leaf Necklace in 9ct Yellow Gold with No pearls. Thanks for this giveaway Susan! Subscribed to the mailing list, and would love the Two Leaf White Gold Necklace with black pearl and 80cm chain – Gorgeous! I’d pick 2 gold leaves no pearls. ahhh, I’m always so homesick for Australia and these are beautiful! I would love to have the two leaf necklace in yellow gold as a little piece of home. I also followed them on Pinterest. Two silver leaves, with a white pearl on the larger leaf. I nearly missed this post – what a great idea. Always something different on WKW. Seems that white pearls come on both leaves not just one. Oh, and I’d have the 60cm chain. Should I have said that I subscribed to the site? I think the rose gold with the pink pearl is just so pretty! Definitely my choice. I love the single gold eucalypt leaf, unadorned. Simple and elegant. I subscribed to the newsletter, followed on Facebook and Pinterest. Thanks for the giveaway, Geetings! I have my eye on the Terre-et-Mer Three Leaf Necklace in yellow gold, 80cm – it represents everything I love about Australia. The sun and sunburnt landscape, the beaches where I spend my summer days, the trees that smell like home – this necklace signifies the place where my heart lies, and I would wear it close to my heart every day. I’ve shared this on Facebook, Twitter, liked StyleRocks on Facebook and follow all their Pinterest boards. And I’m officially a StyleRocks fan! Good evening! I have subscribed to the mailing list, and following on both FB and Pinterest. My favourite is the Terre-et-Mer two leaf necklace in white gold with pink pearls. The collection is beautiful! I’d like to win fine twinkles necklace!!! 2. There are so many nice pieces in the Terre-et-Mer collection, but I would choose the single gold leaf with the pearl…simple and beautiful! I would love to be able to wear the Terre-et-Mer three-leaf necklace with the gold eucalyptus leaves. It’s beautiful and elegant! It has been an absolute joy following ‘What Kate Wore’ for many months to be up to date with all of the designs that beautiful Kate wears. The coverage of the Australia and New Zealand Royal tour has been marvellous! Perfect work! Have also followed ‘Style Rocks’ on Facebook. In love with their Terre-et-Mer collection. It reminds me of Kate’s necklace from Asprey’s Woodland Collection as it holds a special significance. The Terre-et-Mer Three Leaf Gold Necklace is a beautiful and versatile piece. This one is my preference! This is all so beautiful! I would pick the silver three leaf design with no pearls, I think. Just so simple an elegant. I would go for the rose gold with white pearls! Just love them! Oh I would definitely go for the Terre-et-mer necklace in rose gold with the pink pearl! I would wear “From Russia With Love” in white gold. I subscribed to Style Rocks and followed them on facebook. When it comes to this stylish jewelry, my choice would be the beautiful golden Terre-et-Mer necklace in pink with two leaves and black pearls, chain 45cm, also the silver equivalent looks gorgeous. I love the jewelry that has a story, a meaning behind itself, which you can share with others.That’s why I would choose the one with pearls- because then you wear on yourself a full meaning of this real piece of art. For me personally it symbolizes not only Australian natural heritage. Because Australia is thousands of kilometers from the place where I live (Poland), it means also for me: work for your dreams and look beyond the horizon, in everything you do head toward places where you will be in balance and harmony with yourself, just as is Australian bush and sea. I adore the three leaf necklace (60 cm) in yellow gold, with a single white pearl and would be so excited to wear them to a very special wedding. So elegant! I’ve also liked Style Rocks on Facebook and Pinterest. Fingers crossed. Thank you for the blog during the tour- it’s been addictive! I signed up to the StyleRocks mail list, I follow them on facebook, pinterest and twitter! So happy this is an international contest!! So simple, yet so beautiful! I am in love with this collection. If I could choose, I would have two silver eucalyptus leaves with pearls. I’ve subscribed to StyleRocks, followed them of Facebook and Pinterest and posted about the competition on my Facebook page. Fingers crossed now! THE TERRE-ET-MER ONLINE JEWELLERY COLLECTION-single gold leaf! Beautiful and classic. I follow on Pinterest, username egholtrop. I also like the page on FB. I like the Terre-et-Mer Two Leaf Necklace in silver. My favourite piece from the Terre-et-Mer collection has to be the Three Leaf Necklace in Rose on a 60cm chain without pearls, simple and stunning. I also followed StyleRocks on Facebook. Two silver leaves, no pearls. Signed up for the StyleRocks mailing list, liked them on Facebook, followed their boards on Pinterest, and shared the information about the contest on Twitter. I loved Terre-et-Mer two leaf necklace in yellow gold (chain length – 45cm). I would wear the Terre-et-Mer Three Leaf Pearl Necklace with the white pearls in silver! Everything on their site is gorgeous. I can tell why the Duchess loves them so much! I also followed them on Pinterest and liked them on Facebook! Love that you can customize your own jewelry! I like the one large and one small silver leaf necklace. I would do definitely two leaves, with white pearls. But I’m torn between silver and rose gold–ahh! Both? On the mailing list already, followed on Facebook and tweeted about it! Love the eucalyptus leaf necklace. I would pick the two smaller leaves with pearls and the larger leaf with a pearl. I think it would make a nice ‘mommy necklace’ symbolizing myself and my two children. Tanya, that was exactly part of our design process…to make them in different sizes just like the Russian matrioshka dolls to symbolise the family. Very pretty! I would wear the two leaf necklace in silver. FYI, the link to the terre-et-mer collection from your second bullet point only goes to an error page. I’ve liked them on Facebook and now follow them on Pinterest as well. Thank you! I adore the three leaves necklace with the little, dainty gems in the middle. Great blog! I’m usually a silver girl but I loved the two leaf in rose with a pink pearl and 80cm chain. I’ve like StyleRocks in Facebook and Pintrest. Obviously I should spell check before posting, embarrassing! Did the email, Pinterest, Facebook. However looking at the jewelry at the link brings up a 404 message. So I will say that I like all of the leafs. I have followed on Pinterest, and liked on Facebook. And really liked in the photos too — beautiful jewelry. I keep coming back to the single, simple leaf. I think that’s the one I would wear. Or maybe the two leaves! I’ve followed on Pinterest (CollegeInsominac), twitter and subscribed to stylerocks. I tried to view the Terre et Mer Collection link but it kept getting a 404 error page. So I’d really like to wear the silver with white pearl. Thank you! I’ve also liked the Facebook page! Love it! I would wear the three leaves with pearls. Thanks for the giveaway! And of course, I have “Pined” my chosen necklace. Love Pinterest!! forward to more posts & the Trooping of the Color!!! I follow StyleRocks on Pinterest. love the terre-et-mer line! i’d pick the silver three-leaf with 45 cm chain. Liked them on Facebook too! Lovely designs. I follow StyleRocks on Facebook. The two-leaf silver with a black pearl is spectacular. Terre-et-Mer Collection: My favorite is the rose gold single leaf with the pink pearl. Followed the directions. The silver with black pearl has my name all over it! So, I think I should have 4 entries please! And I’m following them on Pinterest! I love the Terre-et-Mer Two Leaf Necklace in Rose Gold without any gems/pearls. I’ve subscribed to StyleRocks’ e-mail list, and I also follow on Facebook and Pinterest. I think I’d choose the Three Leaf Pearl necklace, in silver. What a lovely design! I love the Terre-et-Mer Collection! 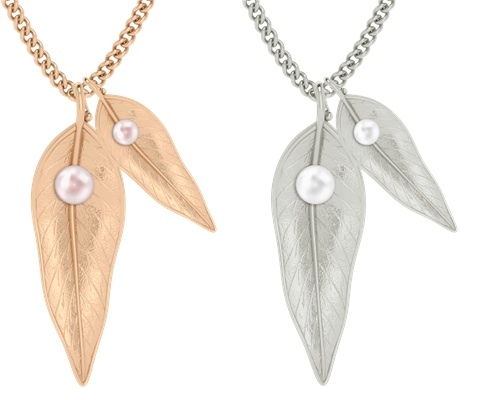 I would definitely choose the three eucalyptus leave necklace in rose gold with white pearls! Stunning! I like the create your “own” style of the Terre-et-Mer collection. The ability to design to your taste is a huge asset. So happy there is so much interest in these lovely works of art. I would pick the three-leaf silver with pearls from the collection! So pretty! I also followed on facebook and pinterest! These are so lovely – all of them! It’d be quite difficult to choose! From the Terre-et-Mer collection, I think I would choose the simple 3 gold leaves (3 different sizes) together. But I wouldn’t turn any of them down…they’re beautiful! I posted about the contest on my Twitter account. Thank you for this great giveaway! The Terre-et-Mer collection is beautiful. -I would love to wear the gold three-leaf version with the pearls. Stunning! I would pick the design with the three gold leaves from the Terre-et-Mer collection. I love the rose gold leaf with the pink pearl – such a different and striking look! I would get two leaves to symbolize my little family here. Love the natural look of this collection! I would love the three gold leaves with white pearls, they are so gorgeous, and such a lovely representation of my native country. I have subscribed to StyleRocks, follow them on Facebook, and on Pinterest. Thank you for this offer! I like the rose gold terre-et-mer three leaf necklace. It would go well with pink, beige, turquoise, or brown suits. Very pretty. Not only have I subscribed to the website, it is also liked on Facebook as well. I would go with the two leaf version without the pearl; simple and classic! It’s a beautiful collection. The simple leaf design is lovely. My e-mail on facebook is not my correct email. The one associated with this post is correct. So much pretty there! I love the circle necklaces as well as the whole Terre-et-Mer collection, but I think I like the rose gold, two leaf necklace the best. Still deciding if I’d add the pearl or not. I’ve followed StyleRocks on Pinterest, Facebook and subscribed to their email and posted about the contest on my own Facebook page. Thanks for the fun chance to enter! The silver with a pearl is so classic and ladylike! I am now following this creative designer on Facebook, Pinterest, and Twitter. I would pick 3 rose gold eucalyptus leaves with pink pearls–really beautiful! Eucalyptus trees are all over Monterey where my grandparents lived, so winning this necklace would be extra special. (I signed up for StyleRocks’ mailing list and indicated I’m subscribing because of What Kate Wore). I would feel soo elegant wearing the silver leaf with pearl necklace from terre-et-Mer collection! Thanks so much for posting Style Rocks link.I haven’t seen their jewellery and now I have. It is beautiful and so stylish. The Terre et Merre collection is beautiful. I love the gum leaf and pearl combination, so exquisite. I would love the two leaf in silver with black pearls! It looks so cool! I have subscribed as instructed above for the giveaway. I would pick to wear the 9ct yellow gold Terre et Mer Two Leaf Necklace with the White Pearls, in the 80cm chain length. Thanks! Hi, I would love to wear the set of 3 yellow gold leaves with white pearls pendants, because this design seems to symbolise a family of 3, each one a gem in another’s heart. A very heart warming design. I have followed StyleRocks on Facebook and Pinterest! What a great giveaway! I would love to win the Terre-et-Mer Two Leaf Necklace in Gold! I have subscribed and I also liked the facebook page. Thank you! Terre-et-Mer Collection is beautiful and I would select a single leaf insilver with either a white or black pearl. I love the necklace with the one large and one small leaf in silver. So elegant! I followed SR on facebook and pinterest! I like the Terre-et-Mer Two Leaf Pearl necklace in silver. Lovely! I have signed up for style rocks mailing list and checked that I heard about them through WhatKateWore. Love the new Terre-et-Mer leaf collection. What I would pick to wear is sterling silver leaf with a white pearl. I am a big fan of silver jewelery. Great contest! Thank you. I really like the Three-leaf version in gold with white pearls. I have three daughters, so that version would be perfect for me! I love the simplicity of the single leaf, sans pearl, in rose gold. Also, I follow StyleRocks on Pinterest. I wasn’t sure about the pearls on leaf (even though I love pearls), but I adore the set with 2 plain silver leaves! I would love to win this lovely piece. Thanks for the giveaway! I love the single gold eucalyptus leaf. I love the Terre-et-Mer Three Leaf Pearl Necklace in the gold color! So pretty! 1. Signed up for StyleRocks mailing list. 2. I’d pick the Terre-et-Mer Three Leaf Necklace in Silver with white Pearls…I could dress it up or down! 3. Followed StyleRocks on Facebook! 4. Followed StyleRocks on Pinterest! The yellow gold leaves, just plain. I also love the rose gold leaves. It’s so difficult to decide! This collection looks so pretty and dainty! I would choose the three leaves, each leaf a different color. Love this blog!!! I love this, and would probably pick the rose gold three leaf version with white pearls. Thanks so much for the giveaway! Lovely give away….the green amethyst earrings are my pick for today! Fantastic! I love these giveaways. It is such fun to look at all the goodies, regardless of who wins. I most admire the three leaf pendant in white gold (exquisite!) with the white pearls. I love the design and am a real fan of jewelry that references nature. Oh, I also liked them on facebook and followed on Pinterest! Great give-away! I love the collection, they’re all so beautiful! But I would choose the silver with pearl leaf necklace! What about the Government House reception event? I have also followed all of StyleRocks boards on Pinterest. Thanks so much! I’d love to wear a large rose-gold leaf and small yellow-gold leaf, each with a pink pearl, maybe a white one. 🙂 Beautiful idea and pieces! I love the simple Terre-et-Mer Necklace in rose gold! Oooh! Pick me, pick me! I love the two leaf yellow gold necklace with the white pearls. It may not be what Kate wore, but it sure does look like something she WOULD wear! After looking at the new Terre-et-Mer line, I think I would choose the two-leaf, rosegold-plated necklace with white pearls — one leaf for each of my children. What a gorgeous collection! I also signed up for the mailing list, followed Style Rocks on Pinterest and commented on my Twitter about the giveaway (surrattpaige). Lovely jewelry. I would choose the double gold leaves in the Terre et Mer Collection, without the pearl. Simple. I love the 3 leaf version with the white pearls. This is so versatile and would look great with a casual outfit or a more formal outfit. This is a piece that would definitely get noticed. It is also so classy and so Kate! I would pick the two-leaf necklace in gold, with the black pearls. Beautiful. What a great design – I love the multiple leaves in gold. The pearls make it so unique. I would pick the2 rose gold leaves with a pearl. Absolutely stunning and being from Australia I have been avidly following the tour and have loved Kates outfits. I just signed up for the Style Rocks newsletter. I would absolutely wear the three leaf necklace w/o the pearl in gold. It is classy yet can also be casual. Love it! I also followed them on facebook as sbaima@siue.edu, but that is not my correct email. The one associated with this post is correct. Thanks for all the info you give us on what Kate wears! Oooh I adore those pieces! I’d choose the (single) Terre-et-Mer necklace in 9ct white gold with a pink pearl. Understated yet elegant – just like Kate! Wonderful giveaway! I would choose the Terre-et-Mer Two Leaf Necklace – pink, with pink pearl. All of the designs are so beautiful it’s almost impossible to choose, but I just think the rose is particularly eye catching. I’d choose the two-leaf pearl necklace in silver. Lovely. I would pick the two leaf design in Rose Gold with Black Pearls placed on the leaves. What a gorgeous collection! I love the three-leaf necklace with the pearls in gold. I signed up for the list, too. I can’t decided which I like better the silver leaf with the black pearl or the while pearl. I would love to have either necklace. ( I would love to have anything from this company, all so pretty). I followed on Facebook and twitter and I posted it on my twitter account. I would pick the Terre-et-Mer Three Leaf Pearl Necklace with pink pearls in a 60cm chain! This is because I am just enamored with how Catherine has worn two separate necklaces with three charms each, and those leaves are just lovely. I think that the Terre-et-Mer collection is beautiful! If I could pick something to wear, it would be the single gold leaf from their collection!